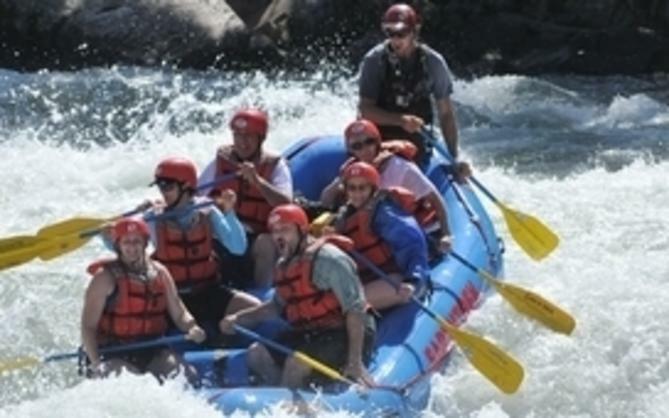 As college students weather finals and return for winter break, empty nest parents are planning new trips to Sacramento. Parents still remember taking kids to the State Capitol and other tourist attractions. They&apos;ve been there, done that -- even the newly expanded Crocker Art Museum, which debuted a year ago. They&apos;re passing on packaged tours. Instead, they&apos;re exploring places new to them. And they aren&apos;t collecting magnets or shot glasses. They&apos;re bringing home art that captures the spirit of their adventure, and sharing these stories of discovery with friends. Their secret&apos;s out as I visited five Sacramento art galleries, clustered predominantly in the midtown neighborhood. The &apos;industrial chic&apos; space is an ideal setting for edgy, contemporary art by mostly Northern California artists. Private and corporate collectors, alike, have Pam and Gwenna on speed dial. Past exhibitions include Michael Bishop&apos;s work from Istanbul and Dean De Crocker&apos;s engineering--inspired sculptures. 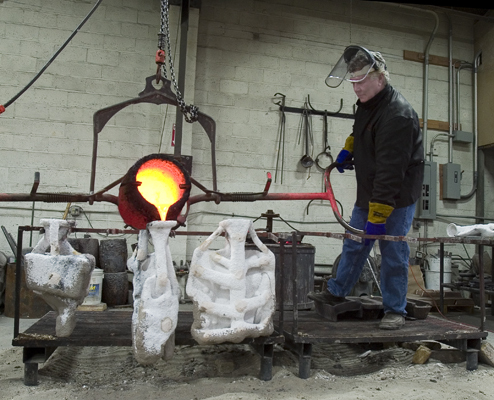 Continuously operating since 1979, the bronze foundry has pouring demonstrations and classes as well as two on-site galleries. AF has shown Bruce Beasley&apos;s bronze sculptures and Gregory Kondos&apos; paintings. Solomon Dubnick presents a wider range of media that focus on figurative, narrative, and representational work. It has featured Jian Wang&apos;s U.S. premiere of Beijing portraits and David Post&apos;s acrylic paint abstractions on daily life. For more than 15 years, this artists cooperative has forged a reputation for challenging the bounds of contemporary art within a professional and approachable space. Artist-members include Cherie Hacker (photographer) and Sandra Beard (printmaker). Don&apos;t simply take Artweek&apos;s word about Sakata&apos;s shows for it. A zen-like serenity permeates this modest brick building, creating a canvas for art to come to life and make its own statement. Fine art currently on exhibit is Oliver Jackson&apos;s works on paper. Est. in 1972, this multi-disciplinary public space celebrates Latino / Chicano and Native arts. These cultural narratives often are told from witnesses who have seen first-hand history unfold. After two deployments to Iraq, Sacramento native Tony Ulep shared his visual journal of the fascinating culture, architecture and landscapes he encountered. Most galleries are open to the public from Wednesdays through Saturdays, free of charge -- including Second Saturday evening receptions. Although these are sprinkled throughout midtown, the alpha-numeric streets are easy to navigate. 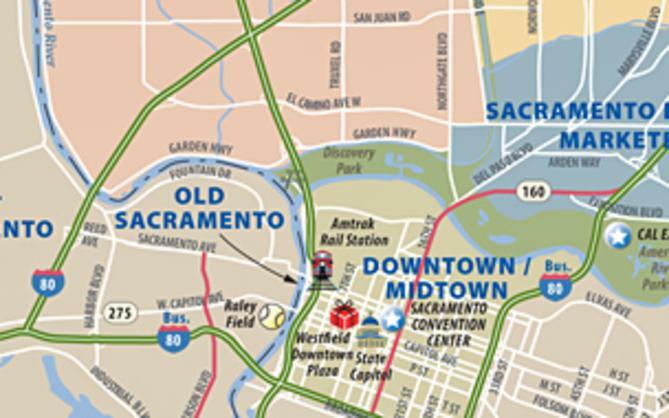 Choosing a downtown Sacramento cafe or bar will not be so easy! Looking for more arts in Sacramento? 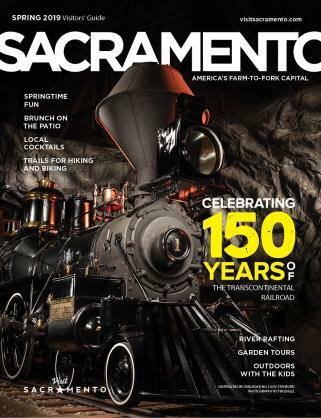 Visit Sacramento365.com, the year-round source for Sacramento events. The Sacramento Convention & Visitors Bureau and the Sacramento Metropolitan Arts Commission recently were recognized as Arts/Business Partnership of the Year.